My jaw dropped as I listened to a fifth-grader conversing with his native Spanish-speaking teacher at the front of the room. He spoke easily and naturally, responding to the teacher’s briskly paced Spanish without hesitation. As I looked around the room at the other participants at the training, I wondered, “Could our fifth graders do this?” I doubted it. Several colleagues and I were participating in a SOPA/COPE training in the winter of 2004. Developed by the Center for Applied Linguistics (CAL), the Student Oral Proficiency Assessment (SOPA), designed for students in grades 2-81 and the CAL Oral Proficiency Exam (COPE), for more proficient students in grades 5-8, give teachers a tool for assessing students’ oral language skills. Pairs of students participate in interviews (SOPA) or role plays (COPE) and are given a series of increasingly difficult prompts to respond to in the target language. One teacher facilitates the interview/role play, and one or two teachers record the students’ language production with audio and video, take extensive notes about the speech sample and independently rate it using the SOPA/COPE rating scale. The rating scale, also developed by CAL, was adapted from the ACTFL Proficiency Guidelines for listening (1986) and speaking (1999), which were developed by the American Council on the Teaching of Foreign Languages (ACTFL). The analytic rubric has nine levels ranging from Junior Novice-Low to Junior Advanced-High for four criteria: oral fluency, grammar, vocabulary and listening comprehension. Though the Emerson contingent made up of six teachers attended the training to gather ideas for oral language assessment, the experience prompted us to closely re-examine our program and its goal of producing bilingual, biliterate students by eighth grade. 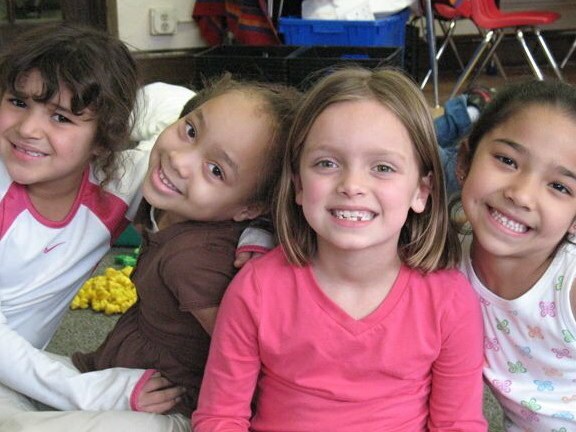 Over more than 20 years, our program, which had begun as a world language enrichment program, had transitioned to an immersion program-within-a-school (strand program). Eventually the program moved to its own building, our current home in downtown Minneapolis, as a K-8 one-way, early partial immersion program. As the student population in the school and district changed, the program model of our school shifted to 50:50 two-way immersion. We delivered early literacy instruction in the students’ native languages (English speakers learned literacy first in English; Spanish speakers learned literacy first in Spanish), reasoning that children, especially those from diverse backgrounds, should build a strong literacy base in their first language before beginning to learn a second. The students generally did well in their native languages, but we were frustrated by the level of Spanish the native English speakers were acquiring by the time they finished the program; we had a sense they weren’t learning as much Spanish as they could be. When the Minnesota Advocates for Immersion Network (MAIN) and the Center for Advanced Research on Language Acquisition (CARLA) announced that they would be co-sponsoring the SOPA/COPE training in the winter of 2004, we jumped at the opportunity to participate. With this assessment tool, we thought, we would finally have a consistent way to measure our students’ oral language ability. Six Emerson staff members joined teachers from five other area immersion schools to attend a two-day SOPA/COPE training conducted bytwo presenters from CAL, Lynn Thompson and Beverly Boyson. We learned about the assessment tool, observed interviews, and practiced rating language samples ourselves. We were striving to achieve a high level of “inter-rater reliability” (i.e., agreement in ratings), so that we would share the same rating tendencies with CAL and our colleagues at other MAIN schools. We were all excited about returning to Emerson to implement the assessments. We planned to have substitute teachers in our classrooms for several days, secured an empty classroom, devised a schedule for the interviews, and asked classroom teachers to identify pairs of students at similar language levels. We decided to have three teachers in the testing room: one to conduct the interviews or role plays and two to record students’ language, run the video and tape recorders and rate. We interviewed twelve pairs of students at each of three grade levels 2, 5, and 8. The author’s kindergarten students now receive 90% of their instruction in Spanish. The results of the oral language assessments were fascinating, though quite disheartening. While we discovered that some native English-speaking students in eighth grade were able to communicate with a reasonable level of fluency, the majority of them were not. They struggled to construct even the simplest of sentences, conjugating verbs incorrectly or not at all, and resorting often to English. It led the six of us to do some serious soul-searching about our program and to question whether our students were leaving Emerson with a level of Spanish reflective of their nine years spent in our program. We determined they were not, and we approached the administration and our school’s planning committee with our findings. Together, we determined that a shift to a 90:10 program model (90% of instructional time in Spanish and 10% of instructional time in English in the early years of the program) would greatly strengthen students’ early Spanish language and literacy development and would give the students the linguistic tools they needed to continue to develop their language, literacy and academic skills in the upper grades. To present our recommendations to the whole staff, we showed portions of the videotaped interviews to our colleagues at a staff meeting. People were taken aback at the obvious lack of skill demonstrated, and the vast majority of staff members were supportive of making the change to the 90:10 model. We decided to make the change with the next year’s class of kindergartners (2005-06); we would instruct them in Spanish 90% of the time, including Spanish language arts and offer initial literacy for all students in Spanish regardless of language background upon entry to the program. Halfway through the first year of 90:10 implementation, it was clear we had made the right choice. kindergarten students were speaking more Spanish than ever before, and their parents were thrilled. They raved about how much Spanish their children were using at home, and some spoke rather wistfully about how their kindergartners were beginning to outperform their older siblings. By the end of the year, our young students’ ability to express themselves, sometimes in complete sentences, amazed us; our 8th graders had often had difficulty doing this. We are currently in our fourth year of 90:10 implementation. Each year, the change has been enthusiastically applauded by a new group of teachers as those first kindergartners move through the grades. However, we are now facing a new challenge: are we providing enough English to ensure the academic success of our many native Spanish speakers? We are constantly re-evaluating and fine-tuning our program so as to achieve success for all our students. We are certain that we will soon be a program that can proudly say we are helping create bilingual, biliterate students who can navigate our ever-diversifying world with skill and confidence. American Council on the Teaching of Foreign Languages. (1986). ACTFL proficiency guidelines—Listening. Yonkers, NY: Author. American Council on the Teaching of Foreign Languages. (1999). ACTFL proficiency guidelines—Speaking. Yonkers, NY: Author. Retrieved March 29, 2009 at http://www.actfl.org/i4a/pages/index.cfm?pageid=3325. The SOPA was originally developed for grades K-4 for contexts in which a foreign language is taught more traditionally. It is now recommended for use in Gr. 2-8. It is also appropriate to use the SOPA in grades K-4 in immersion settings. For more information about the SOPA and COPE assessment tools, visit the Center for Applied Linguistics at www.cal.org/topics/ta/sopa_ellopa.html. The Introduction to SOPA can be purchased for $99 at CAL’s online store: http://calstore.cal.org/store/detail.aspx?ID=334. The advanced courses, Moderated Introduction to SOPA and Rating the SOPA, are conducted when a minimum number of students enroll. Contact Lynn Thompson at lthompson@cal.org for more information.